After two successful mini-session charity events, I decided to do round 3 this fall. The event benefits City Dogs Rescue in Washington, DC and so far, we’ve raised almost $2400 to save animals in need! Yeah! Giving back is not just for #GivingTuesday over here. It's such an important part of what I want to do with my photography because sometimes I have to pinch myself that I get to play with adorable animals for a living! 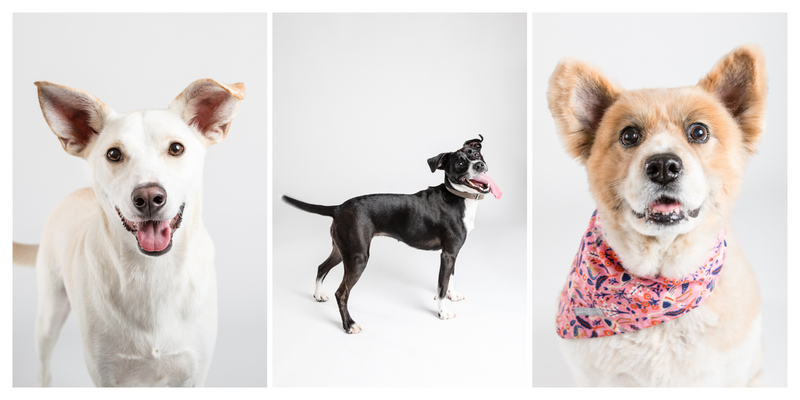 On November 5th, I took over the City Dogs HQ with 4 fabulous volunteers and photographed 22 animals on a simple white background. Participants in this event were quick to book and arrived ready to make the most of their coveted 15 minutes in the spotlight. Thanks to everyone who took part and to all the beautiful pets who made the day so much fun! The next event will be in the spring of 2018. Learn more here.